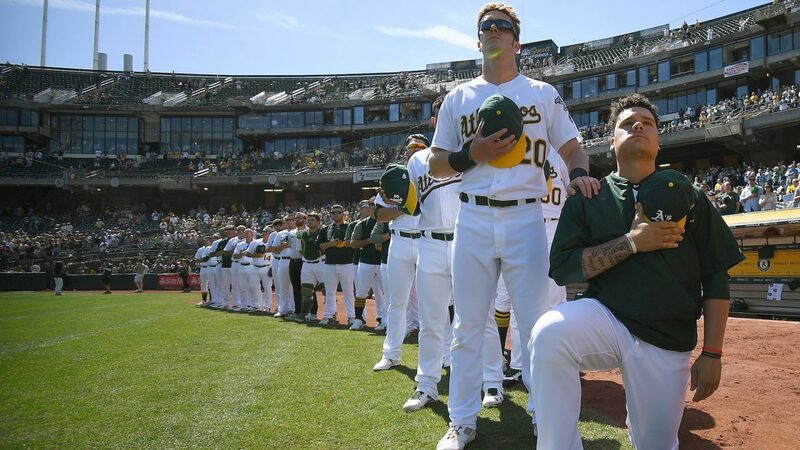 Oakland A’s catcher Bruce Maxwell, the only Major League Baseball player to kneel during the national anthem, made headlines this week claiming he was denied service at a restaurant in his hometown because of his protests. Now, the waiter from this alleged incident has told Fox News that Maxwell’s story is a complete lie. Matt Henry is a 42-year-old waiter at Keegan’s Public House in Alabama. He said he works too much to have time to attend Donald Trump rallies, as Maxwell claims the waiter told him, and had no idea who Maxwell was. “He is outright lying, Henry said. This is really upsetting as he was given full service, I didn’t even know who Bruce Maxwell was. This all started because I carded his friend who wanted to order a beer. “[The friend] asked me, ‘Don’t you know who Bruce Maxwell is?’, and told me I was making everyone feel uncomfortable. Nobody was even paying attention to them. “I didn’t know anything about him or the kneeling. All I know is a friend of mine 15 years ago lost his job for serving someone a drink who happened to be underage, so if anyone looks under 30, I’m going to card them. Henry said Maxwell, the city councilman, and the friend who joined them were polite and paid their bill without objection. Anne Whalen was the manager on duty the day of the alleged encounter, and she also said the issue was about ID’ing someone for a beer, not the national anthem or Trump. An Oakland A’s spokesperson told Fox News that Maxwell stands by his story, and that the club has no further comment.